Campaigns | Tales to Astound! I started typing this post months and months ago, catching up on the Lamplighters as they began their foray into Qelong Valley. There was a lot of ground to cover. In particular I want to look back at what worked and did not work as I sat myself behind the screen again. Several session have occurred since this post. But I wanted to get this up on the blog! The Lamplighters made their way up the Qelong River in a boat they bought. They kept two squads of mercenaries they brought with them from earth (or, rather, their earth) and left the rest of them guard the Das Forscher. They reached a poverty stricken village and sought out information about the fortress further upriver they had heard about. But the village was under the control of cannibals who sprang out from hiding when the group was scattered. The combat ranged across the village as the PCs worked to regroup. 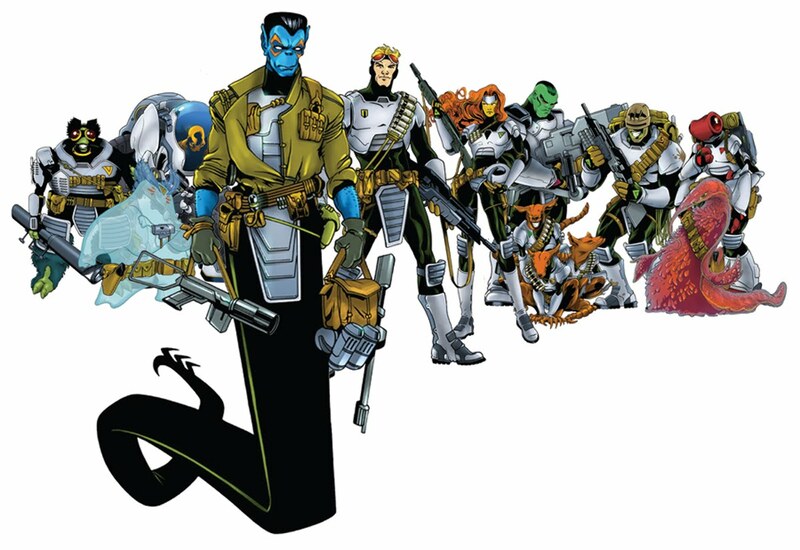 They ended up losing some of their mercenaries. The found out that the land seemed poisoned by the aakom that powered the magical weapons lobbed over the mountains by the arch-mages fighting their war beyond the Qelong Valley. I wasn’t particularly happy with this session. It was the second session I had really prepped out a fight and tried to have a set piece of action. (The first was the fight in the village of Bergenzel (aka Scenic Dunnsmouth) and that one went gangbusters.) I think the key is that in this fight they were fighting only for survival after being ambushed (that is, they were only fighting), whereas in Bergenzel they had an actual agenda (find and destroy the Spider Cult). In the Bergenzel fight they had chosen to go after the danger, could decide to press on with things got crazy (and they got crazy) or choose to abandon their goals, they found themselves in the face of multiple factions and had to sort out what was going on in the middle of combat. All in all there was more going on than the fight itself. So, pro tip to me: A fight for the sake of a fight in and of itself (in other words, survival) is actually kind of boring in an RPG, but a fight where something beyond fighting for survival will be interesting–or at least have a better shot at being interesting. The Lamplighters continued upriver, but setting their boat ashore and working their way up through some marshland in order to avoid being seen by patrols from Fort Hawk. They saw villagers tending to crops a few hundred yards away. And then they saw Naga-kin (though they had never seen such beasts before so I did not name them) rise up from the waters and attack the villagers. So, in contrast to the previous fight, the Players/PCs now had a choice about what to do. (Several, really.) They could try to sneak past the Naga-kin. They could engage directly to protect the villagers. They could head back to their boat and try to slip past the Naga-kin on the water. They could retreat from the entire situation. All-in-all, more possibilities and choices. Also, and I just realized this, the situation was not static as it has been in the village. In the village the the villagers were just going about their business waiting for an opportunity to attack someone. Nothing was in motion, and this cut down on the tactical and strategic elements the PCs could engage with (physically or intellectually) until the trap was sprung. And when it was sprung, the only thing to do was fight for survival. There were no moving part but their own skins. But in this encounter, the PCs saw first the villagers, then second the Naga-kin attacking them. This meant that right off the bat something was happening that had nothing to do with them. The world was alive with its own energy and motion, and the PCs now had choices to make about getting involved or not. This is an important lesson I want to carry forward in my own Refereeing: An encounter with a monster (cannibals, for example) is not interesting. An encounter with a situation is interesting. workers, animal encounter (a roll of 6,n I take as animal or alien) and ambushing brigands. Lets say the players encounter some workers who are obviously agitated, discussion with them reveals that the industrial plant they have been operating has been closed due to rumours of some violent native beast, and that some hotheads are thinking of going to hunt the animals down. There is a rumour that the animals in question have highly valuable (insert whatever you want here – anagathic glands, valuable fur, expensive blubber – whatever). Players may or may not join the hunt, but they have been seen talking to the workers. Next encounter depends – if they go on the animal hunt then they may encounter the ambushing brigands who are also after the animals, or they may encounter the army patrol guarding the industrial site and containing the animals. If they don’t go on the hunt they are approached by the avenger who has lost (family member, best friend, whatever will pull players in) and offers to guide the players past the workers/army guards to get to the animals. If they went along with the workers they may still encounter the avenger being attacked by the brigands/army patrol. It’s fairly organic – I may decide to change the encounter order in response to player actions, and reaction rolls may make things more tense than they need to be. Hot Springs Island is a point crawl of an island of several dozen hexes, as well as several specific sites mapped out in detail (cavern systems, abandoned observatories and so on). The setting has several recursive encounter tables the Referee uses to create encounters either ahead of time or on the fly. But significantly the encounter involve not a single creature or group of creatures, but members of several factions that live on the island in conflict with each other or encountering each other. You don’t just come across an ogre, you come across an ogre battling to take hold a treasure from lizard men. Note that this makes, again, the environment feel alive. The Players learn about the conflicts between the factions on the island not because the Referee reads them a text box but because they encounter the factions in conflict right before their PCs’ eyes. They can choose to step into the fight on behalf of one side or another in order to gain allies, or to try to wipe everyone out. Like Wightman’s method quoted above, the setting is not about creatures waiting for the PCs to come along and fight them, but creatures and characters with their own agendas and concerns. By finding them in the middle of their own actions and motivations the world opens up, giving “hand holds” both for information about the world and for the PCs to engage in these lives in motion if they so choose to. This means the game can spin out into unexpected directions. Second, the fight was rough. The PCs are now fifth level and had gotten used to their hit points keeping them fairly safe during combat. But the Naga-kin are tough (their high HD gives them bonuses to hit) and they gouged hit points left and right from the party. They were damaging the Naga-kin, but not at a rate fast enough to guarantee they’d survive. Characters were close to death, some going unconscious, until the magic-user was one of the few characters with full Hit Points. But she had acquired the spell Time Stop back in the village of Bergenzel. She cast it, successfully stopping time in the universe for five rounds just as a Naga-kin was about to pierce here with a trident. In those five rounds she managed to: Draw and drive her dagger into the neck of the Naga-kin in front of her (killing it), draw a pistol from the Cleric’s brace and fire at another Naga-kin (killing it), and fire Magic Missile at a third (killing it). All in all it was an awesome moment of D&D play. It also proves my theory that the Referee shouldn’t be too worried about giving out cool candy to the Players Characters. Yes, there will be moments when they are really powerful (Time Stop is powerful!) but the Magic-User can’t cast it all the time and there will be times when pulling out the stops with an extraordinary power not only keeps the party from being wiped out, but allows for a fantastic, cinematic moment to take hold at the table. And we’re playing Unknown Armies in the Monday Night Group. It is a great time. From the blog Dragon’s Breakfast Chris S. has posted information Symera, a Classic Traveller subsector. The “Edge of Night” sector includes over 400 star systems and marks the furthest spinward expansion of humanity from The Earth Before. The name refers to “The Night”; a vast of rift of dust and gas, devoid of star systems, and much too wide to cross with existing jump technology. No one knows what lies beyond “The Night”; likewise, many of the sectors’ inhabited systems are largely unknown to those in more civilized space. The Symera subsector sits near the centre of the sector. Its 32 systems exhibit a technological and population pattern typical of those regions of space devastated by the Nanite Epidemic. The high tech planets tend to be depopulated and struggle to maintain existing technology levels, while lower technology worlds have higher populations, as they were either unaffected by the epidemic and/or absorbed a great number of refugees fleeing it’s devastation. Even 400 years later, this pattern is evident. Although, as always, some individual systems are the exceptions that prove the rule. Politically, the subsector is roughly divided between a mix of independent systems and the allied worlds of the Triple Concordance (which lies completely within the subsector). In addition, polities from outside the subsector intrude to trailing (Hegemony of Aeo), while to spinward in the Xiaochen subsector are the worlds of the Technocratic Union. In the aftermath of the Fourth Interstellar war, several new and radical polities arose among the shattered remnants of the old republics. Spinward of the old core of civilized space, the theocratic and militaristic Hegemony of Aeo became the dominant state. In the century since the rule of “The One” began, the Hegemony has gradually but relentlessly expanded outward, swallowing independent systems and pocket empires alike. The Hegmony first appeared in the Symera subsector 30 years ago, absorbing several independent planets on the trailing border of the subsector. Though not actively expansionistic in the subsector at the moment, it continues to push its influence and policies when prudent. Faced with the threat of the Hegemony of Aeo to the trailing and the Technocratic Union systems to the spinward, several of the previously independent worlds at the core of the Symera subsector grudgingly accepted cooperation over capitulation. The three most advanced systems (Rastafar , Tortuga  and Antigone ) initially joined in an alliance, and then dragged in the adjacent lower tech and less powerful systems to provide resources and buffer zones against the threats surrounding them. The three founding worlds rule as the Tri-Council, while the other ten systems sit on a General Council which can provide advice and feedback, but has little say in decision making. The Concordance has held up well when there is a clear and immediate threat, but in less hazardous times, relations are shaky and worlds act more in their independent self interest. A very loosely confederated group of high technology worlds, the Technocratic Union uses its technological advantages to gain influence over less advanced systems. It is surrounded by a loose network of client systems which gain advantages in high technology and trade from the Union. In the Symera subsector, both Vordenhaven (0104) and Symera (0205) have close ties with the Union. Is this true? Well, looking at the power struggle sketched in just a few paragraphs it seems to me that countless schemes and conflicts are already in motion–plenty of grist for any RPG session. The first few sessions, if not months of play, could take place on one to three worlds depending on what the Player Characters focus on. Moreover, look at the clever conceit Chris has concocted for the subsector: The Nanite Epidemic. As the text says, “The high tech planets tend to be depopulated and struggle to maintain existing technology levels, while lower technology worlds have higher populations.” This offers unexpected situations, needs, and conflicts in the Symera subsector. He has a central conceit tied to a past that could possibly be a threat in the future. (I honestly don’t know.) But it feels like something science-fiction-y is going on here. As the high tech worlds struggle to regain power they possessed pre-Epidemic, it seems to me there will be deep motives for lots of conflict and adventure. Even in one subsector with 32 worlds there is going to be plenty for the Player Characters to do! Remember, you don’t need a whole empire’s worth of material to engage Players in game of Classic Traveller. Build an interesting subsector worth digging into and they’ll have a fine time right there. We picked up the game with the Player Characters leaving earth via a magical ship and heading off the shore of the Qelong Valley on an alternate earth. As the approached the city of Qompang on the mouth of the Qelong River they saw other three masted ships, each flying flags of nations they knew from Europe. But each flag was slightly altered: The flag of England, for example, had the red cross on white field that they knew, but in its center was the silhouette of a knight jamming a lance though the neck of a dragon. The flag of France had the flowers on a field of blue, but each appears to be in a crystal ball. The flag of the Holy Roman empire showed the double-headed eagle, but its talons held a bleeding serpent. They anchored in Qelong Bay and took one squad of ten men (out of their company of ten squads) by rowboat to investigate the city. They saw fisherman around them in sampans, men and women of dark to peach colored skin, and saw before them the city was built of stonework with spires and odd towers. The Southeastern feel of the land came quickly into focus. They arrived at the Factory — the section of town controlled by European merchants — and began doing research in the town, looking for clues about the valley beyond the city walls. They befriended several merchants (one from Germany, one from France) as well as an Elf who had joined the French entourage. (The elves of this world live apart from men… but a few are curious about the way of humankind, adopt their customs, and live among them). They also explored the overcrowd city beyond the walls of the Factory. Ending up in a teahouse they met a slave in her early twenties who had one of her hands cut cleanly off a few years earlier. (All of this was clear from observing the stump.) They wanted to talk to her about it, but she said she could not. So they bought her from her owner, and she joined the group. She explained that sometimes, out in the Qelong Valley, people can get sick and the only way to stop the sickness from spreading is to cut off the left hand. As they encountered and spoke with NPCs I rolled on the rumor table included in the Qelong book and they learned about The Mine of the Elephant, the fact that the land seems to be poisoned (from the slave, for example), that another wizard was looking for the same canister they were looking for, that the capital city of Xam had not been heard from for decades, and that a company of mercenaries from the lands of the Holy Roman Empire had taken over a town up river. This led to a discussion between the Players about what options to pursue. Armed with this information they headed out on a riverboat, traveling up the Qelong River to investigate the mercenaries. Their slave traveled with them along with a German who had been up and down the river for years and would serve as a guide. Over at Don’t Split the Party Rick Stump is setting up a setting for play with the Classic Traveller rules. The Terran Confederation is so long collapsed no one in the sectors of space near the game setting is certain in which *direction* Man’s homeworld may be found. No intelligent aliens, at all. Although most planets have a Dorsai universe median (meaning that while some worlds are heavy into farming, others into manufacturing, some into arts and soft science, etc. they all are still close enough to each other culturally for it to not interfere with communications and trade) some worlds have gotten very strange. … an alliance of 3 inhabited worlds all within Jump 1 of each other. The worlds have a mixed Chinese/Spanish heritage with a relatively strong class structure and their economy and culture based upon a Manorial system. The blending of Catholic religion and Confucian social ideas led to them weathering the long centuries the Cycles of Collapse with a strong social cohesion, positive outlook, and a commitment to charity and justice. The Lanxing Comity is centered around 3 worlds that all have TL9 and the capacity to build and maintain FTL craft. These planets are ruled by a single King (Catalan) and a web of nobles spread over the 14 worlds of the Comity. Alongside the nobility is the Interstellar Bureaucracy which ensures that the far-flung worlds run smoothly despite such things as communications lag, death of a noble, invasion, etc. Beyond the Comity is the Twelve Moons Trade Cooperative that operates among 5 TL6-TL8 planets nearby and uses their wealth to purchase FTL craft from the Comity (and have them repaired). The various worlds of the TMTC have a variety of governments and cultures, have no truly coherent “outside diplomacy”, but act as a trading bloc. There are also independent worlds beyond the Comity and outside the TMTC. TL4-TL8 with a wide range of governments and cultures the ones closest to the Comity often have trade with independent merchants from the Comity. The core worlds of Catalan, Biscay, and Fujian appear to have originally been settled by groups intent on ‘recreation’, a term for those elements of the Terran Diaspora that wanted to emulate specific periods of Terran history and territory in space. In this case, Late Medieval Spain, the Spain of the Age of Sail, and a stylized Classical China. The interaction of these three forces over time developed into the Lanxing Comity. The primary language is Spatha which is Spanish with a number of Mandarin loan words (pronounced in the Spanish manner). The primary religion is Catholic (using Ecclesial Latin), although a number of Chinese holidays are secular festivals. The currency is the real. The government is feudal technocratic with a blending of Spanish nobility, Imperial Chinese bureaucracy, and European civil service. People use Spanish conventions for personal names with a tradition of “translating” non-Spanish names into Spanish (Rob Roy would become Roberto Rojo or even Roberto Ruiz; Tom Swift would become Tomas Vencejo; etc.). Initial introductions tend to use the full name so that if you met Tom Swift for the first time he would introduce himself as ‘Tomas Alberto Vencejo y Nestor’. Through religious traditions almost all adults have 2 given names – one granted at birth and a second at confirmation. By cultural tradition a person receives more given names as their social status increases beyond a certain point so for each level of SOC above 8 the character will have an additional name (increases to SOC as an adult do not count!) so a character that begins with a SOC score of A will have 4 given names (their ‘first name’ plus 2 given names for social status, plus a Confirmation. There is also a tradition of using the names and titles of Saints as given names leading to people of high status among the Lanxing Comity having names that appear stunningly long to people used to Anglo-saxon names, such as ‘Pedro Diego José Francisco de Paula Juan Nepomuceno María de los Remedios Cipriano de la Santísima Trinidad Martyr Patricio Clito Ruíz y Rodriguez’. Rick then breaks down the noble structure in the Comity. Following the ranking scheme of traditional Spanish nobility there are both titles or nobility and the three levels of Grandes de Lanxing, or Grandees. *’Don’ or ‘Dona’ can be applied as an honorific to anyone above SOC 8 except the royal family. ** While courteously applied to almost everyone as titles of nobility roughly equal to ‘Lord’ in English they are not omitted when speaking to nobles. ***The titles of Vizconde/Vizcondesa are usually (but not always) used by the children of Condes and above and are equivalent to Baron in precedence. The levels of Grandee are simply third (lowest) through first (highest). Only about 60% of Lanxing nobles are also Grandees; of Grandees 70% are Third rank, 25% are Second rank and only 5% are First rank. Within levels of Grandees (none, third, etc.) noble rank determines authority but levels of Grandee are more important. For example, Duque de la Cruz has no grandee rank, Conde Ruiz is of Third rank, Baron Rodriguez is of Second rank, and Senor (the lowest rank that can be a Grandee) Diego is of First rank. In social precedence (seating, introductions, entrance into a room, who bows to whom, etc.) de la Cruz is top. But in matters of political and military decision making Senor Diego has the greatest level of authority. Not only am I fond of this in Real Life it really works with Traveller, doesn’t it? On a related note, in my campaign if a character with a high SOC score takes the Noble profession and gets a Promotion (pretty rare) if they are already SOC B or better they can shoose to stay the same SOC but become a Grandee!! And then Rick goes into more details about the function of government in the setting. The Lanxing Bureaucracy originated in the recreated Confucian bureaucracy of the founders of Fujian modified by their exposure to European and other civil services. Entrance into the lower levels of the bureaucracy are based upon education and performance on standardized entrance exams. Promotion is based on passing more advanced exams, performance evaluations, and job performance. The Bureaucracy is a complex maze of departments, committees, boards, projects, and independent managers and overseers with an interplay of jurisdiction, precedence, rank, and mandates that makes the complexity of noble and Grandee titles appear dead simple. The King has ultimate authority, although this is rather limited by tradition. The Stellar Navy and the standing Army answer only to the King, for example, while local militias are raised by Nobles. Grandees control specific territory and are responsible for administering those territories in accordance with Royal Law but can also pass their own territorial laws if they do no clash with Royal Law. Local police report to the local grandee but each police force has a senior officer (usually not the commander) appointed by the King in charge of oversight. Tax collection, regulatory enforcement, etc. are all also local with one or two royal appointees as oversight. The Bureaucracy has three levels; local, regional, and royal. Each department monitors for graft, corruption, criminal activity, gross incompetence, etc. Grandees have a senior Bureaucrat appointed to their staff that exists to both provide advice on things like royal law and regulatory compliance and to watch for corruption and treason. Other departments of the Bureaucracy watch the Bureaucracy itself for collusion, corruption, graft, etc. and those departments are, in turn, monitored by Grandees appointed specifically to check the power of the Bureaucracy. In order to prevent this from turning into a massive war of intelligence agencies and secret police the ultimate authority (the King and Royal Family, the Royal Guard, and the Royal Advisors, collectively called the Crown) have two strict policies in place; transparency and transition. Transparency means that the results of all investigations must be made public, no transaction that do not involve Intelligence can be kept from the public, and that the jurisdiction, background, etc. of all Bureaucrats be accessible. There are exceptions for undercover work, intelligence agents, etc. but these have their own oversight. Transition means that no bureaucrat can remain in a particular position for too long. The average tenure is 3 years but can be as short at 4 months but no longer than 5 years. Bureaucrats are generally prohibited from working on their hometowns/districts, with family members, etc., and usually do not work with the same team more than once. Bureaucrat Tom, currently in charge of oversight on Joe, may find himself working for, or under oversight by, Joe in just a year or two. Combined transparency and transition are meant to prevent the creation of ‘bureaucratic fiefdoms’ and networks of influence. Lastly, all payroll costs of the Bureaucracy are paid directly from only the King’s accounts, meaning the more Bureaucrats the bigger the personal expense to the King. At the same time, the King is usually held responsible for graft and corruption among his subordinates. As a result the King is very invested in making sure the Bureaucracy is as small, agile, and efficient as possible while still eradicating graft and corruption. With Grandees performing local leadership and the Bureaucracy providing oversight the Comity functions fairly smoothly despite having an administrative class only a fraction the size of those familiar with 21st Century Europe. To Lanxing trade and diplomacy are intimately connect to each other and to the nobility. Members of the diplomatic corps are often of high social status, even including non-Grandee nobles. Trade from outside the Comity usually faces stiff tariffs and other customs fees but with sponsorship by a grandee or the Crown these fees can be reduced significantly. Since non-Grandee nobles are themselves subject to reduced customs fees a fair number of them go into interstellar trade. Also, very successful merchants can be elevated to the nobility because of the wealth their trade brings to the Comity. Some nobles (usually not Grandees) also use their wealth, personal training, etc. to work for the Crown as unofficial diplomats (this is a fair amount of the Noble profession) within and without the Comity. They may travel with merchants, in their own yachts, as leader of a small mercenary company, or otherwise as they ‘Tour’ outside the Comity, but their underlying goal is to improve the reputation of the Comity and its King. A nobleman with his own merchant ship may very well be pursuing the multiple goals of corporate commerce, interstellar diplomacy, personal wealth, and family advancement all at once. Culturally and politically the Comity is dedicated to service. While their trade with nearby systems does seek overall profit to the Comity and the Crown diplomats, nobles, and even merchants also strive to help the sick, the poor, and the lost wherever they go. Please note that all of the above is for only a section of the subsector mapped above! Other portions of the subsector will have their own cultures and governments. And, again, I believe that’s what the Classic Traveller rules were designed to do! 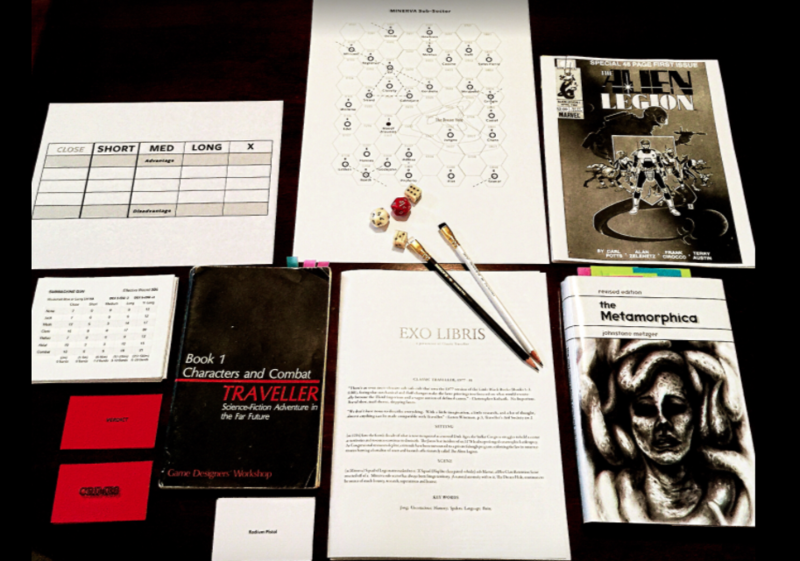 The three original Traveller Books (1, 2, and 3) offer a collection of “playing pieces” the Referee gets to pick up and use as he sees fit to build the kind of environment he wants to share with his friends. The same holds true, in my view, of how to define the various definition of government type, what jumpspace is, what psionic powers are, exactly how the Traveller Aid Society works. All if it is mentioned in passing in the rules, but grist for the mill for any Referee to use as he sees fit for his or her setting. The subsector I’m working up is part of an empire in decay. The empire’s power is slipping away, both politically and economically, as civil wars across different sections of the empire have drained its focus. The influence of the empire on the subsector as a political or social entity is non-existent. Instead, three noble families which have rules potions of the subsector are now scrambling to exert influence and exploit resources of worlds not yet explored. The families see themselves as both standard-bearers for the rich tradition of the imperial past, but also cut off from its support and making their own way forward as best they can. Trade has been limited and focused on about on third to one half of the worlds in the subesctor. There are many “fly over” worlds, with ships focused on wealthy and high population worlds. Mortgages are backed by the noble families, with fealty and history with the families being a primary consideration for getting a charter on a ship, trade route, or resource exploration rights. A-class spaceports are owned by the noble families. Industrial espionage and sabotage is on the rise between the noble houses, affecting both starships and spaceports. Common Noble House Tech Level is 9. Average Noble House Tech Level is A-B. Exceptional Noble Tech Level is C. This, of course, limits the practical size of starships to less than 5,000 dTons. Higher tech levels may well be scattered around the subsector for the PCs to discover, interact with, and puzzle out. There is an indigenous and ancient faith revolving around psionic powers that has been isolated and quiet. It existed from the time before the last rise and fall cycle of civilization in the subsector (centuries ago). As a power vacuum opens up in the subsector the cult begins to make itself known. It begins recruiting from both the common populace and tries to insinuate itself in the noble houses as well. The teachings promise peace (of course) and a chance to avoid the coming possible crisis of an all out war by uniting the worlds of the subsector under one banner. Obviously none of the noble houses want this. But how to use the faith to their own ends, or stamp it out completely, all the while not being influenced by it is part of the stress the rules class is under. I haven’t decided yet if the Player Characters will be centered on worlds from one of the ruling houses or have arrived from beyond the subsector. If they have already have served in the noble house’ military or services and have easy access to patronage and get us going. (Whether they remain loyal to the noble house over time is their business.) On the other hand I am tempted to have all PCs arrive in the subsector fresh. This makes the entire environment open to exploration and allows them to find their own way in terms of loyalty. I think this will be something to bring up with the players and ask them what they want. The tone and feel is a softer SF than I think many people expect from Traveller, with the SF elements serving as a backdrop and as McGuffins for adventure rather than and end in and of itself. Think Jack Vance’s Planet of Adventure and The Demon Princes books, E.C. Tubb’s Dumarest Books, Herbert’s Dune (just the first book), and a bit of Game of Thrones. That’s the basic sketch I’m working from. My Players’ characters are heading off to the Qelong next week and I’ve spent my break from Refereeing by working up notes and prepping details for the expedition. As I’ve noted before Qelong is dense and complex. I’ve taken some time to “unfold” the material in the book and prepare for an easier time running it. One of the complex parts of the setting is the threat of Aakom Poisoning. If you’ve read the module you know what I’m talking about. If you haven’t read it you don’t know what I’m talking about–but don’t worry because its too complicated to go into. For those of you have an interest in running Qelong for your players but who have thought, “How the hell am I going to track the Aakom Poisoning?” I offer this following tracking sheet. I will print out several sheets, using one sheet per day the Player Characters travel through the Qelong valley. Each day of travel I will mark down any actions that incur Aakom points. 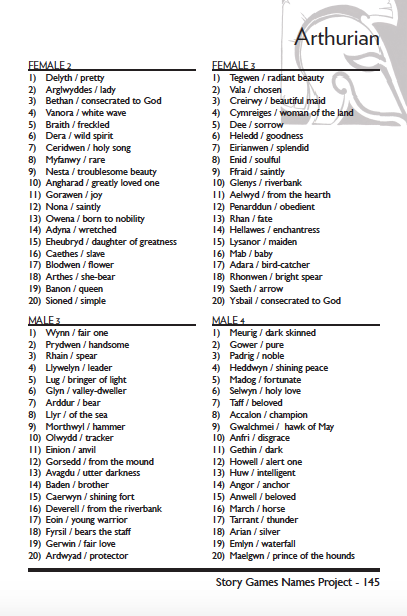 (Each column heads notes the number of Aakom Points accumulated for different events.) At the end of the day I total the Aakom points for that day and then total the to the Aakom points for the entire expedition thus far. I bring this up because my players are smart players and they love to have new problems and puzzles. I don’t want to hand-wave the effects of the poison. If the application of “scoring” the Aakom points is consistent and understandable they will figure out the patter and they will take action to solve the problem. Hence this detailed solution to tracking the poison.